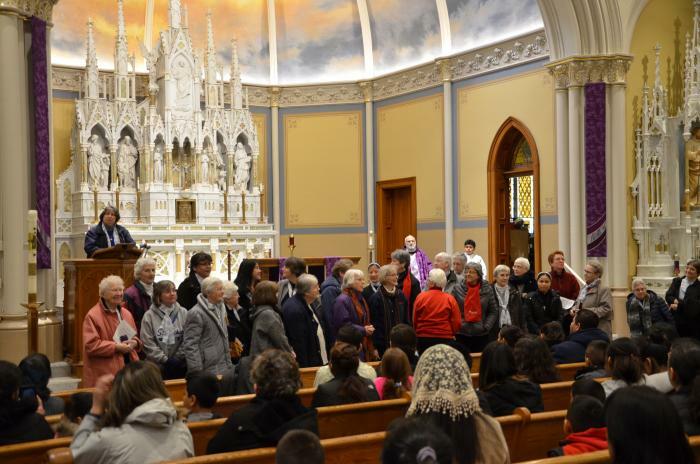 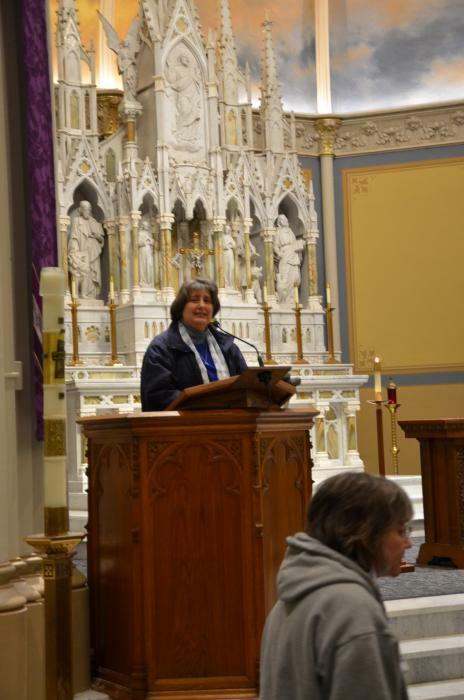 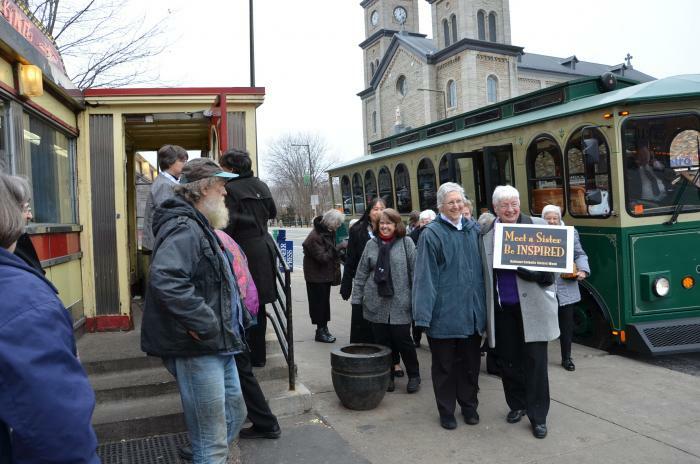 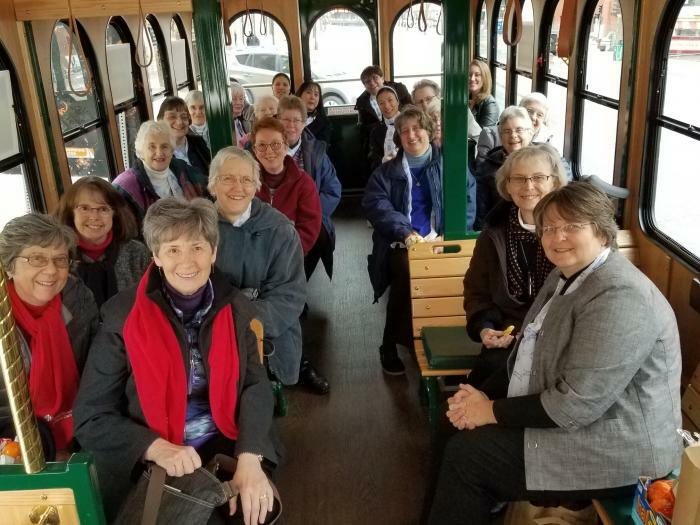 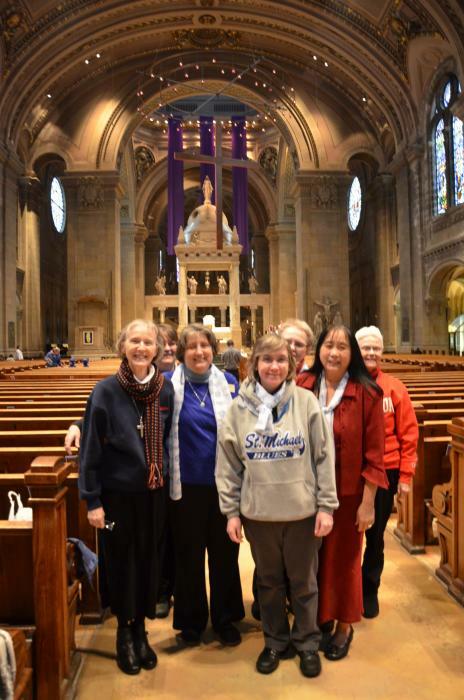 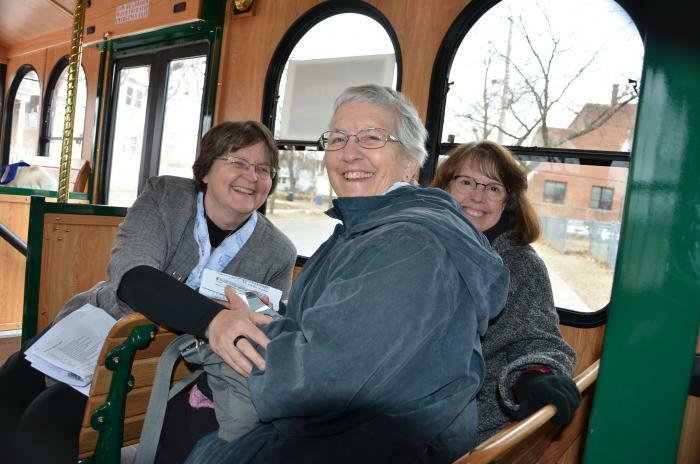 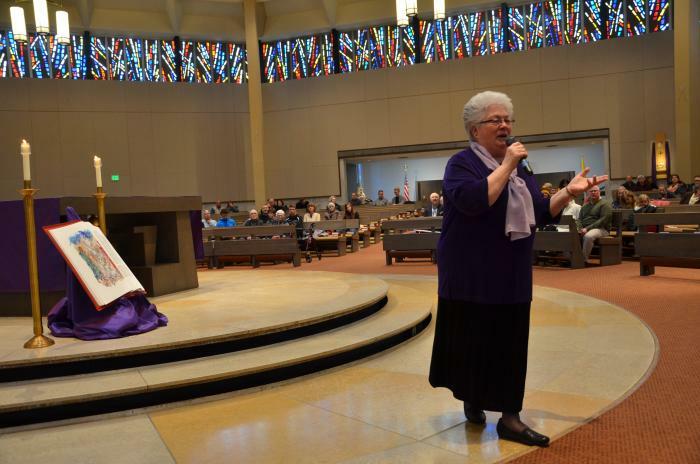 to kick off the Meet the Catholic Sisters of Minnesota Trolley Tour. 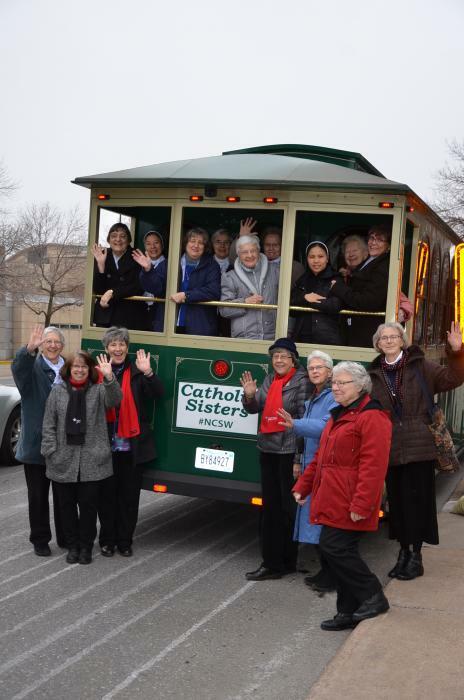 and Lovers of the Holy Cross Sisters on the trolley. 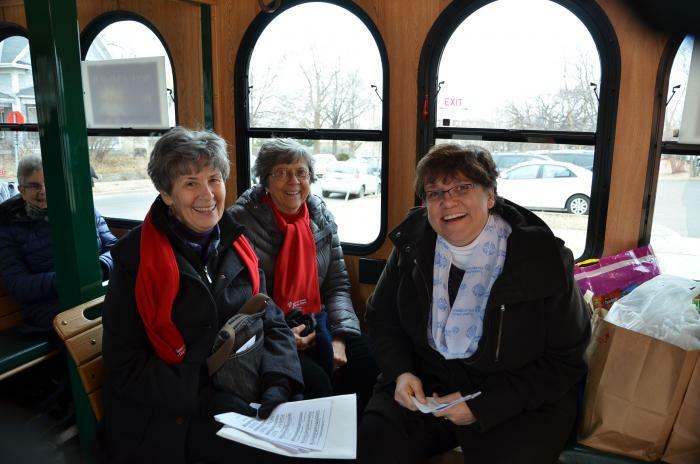 traveling to the next church on the trolley tour. 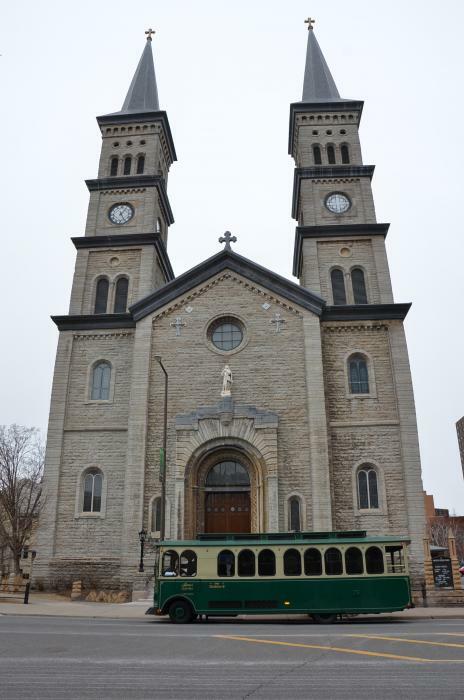 Stopping at Assumption Church, St. Paul, Minnesota. 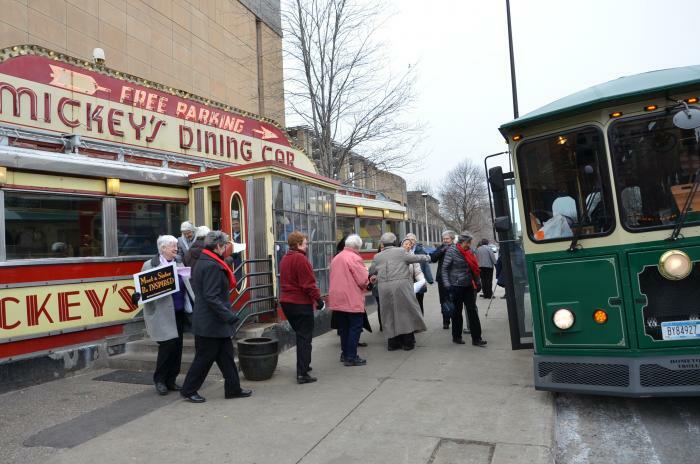 Visiting Mickey's Diner, St. Paul. 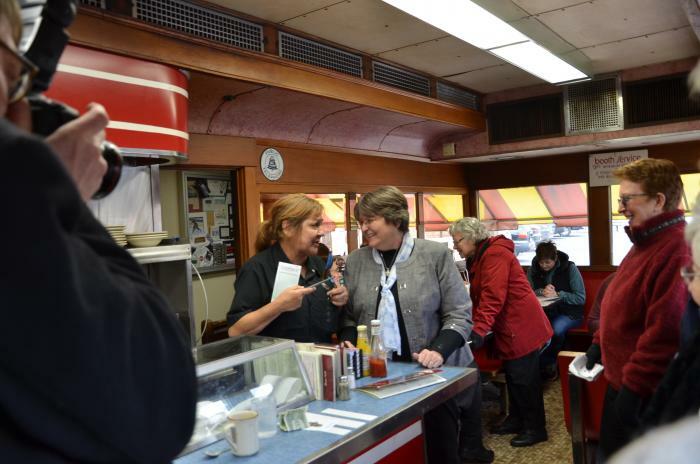 Visiting with customers and staff at Mickey's Diner. 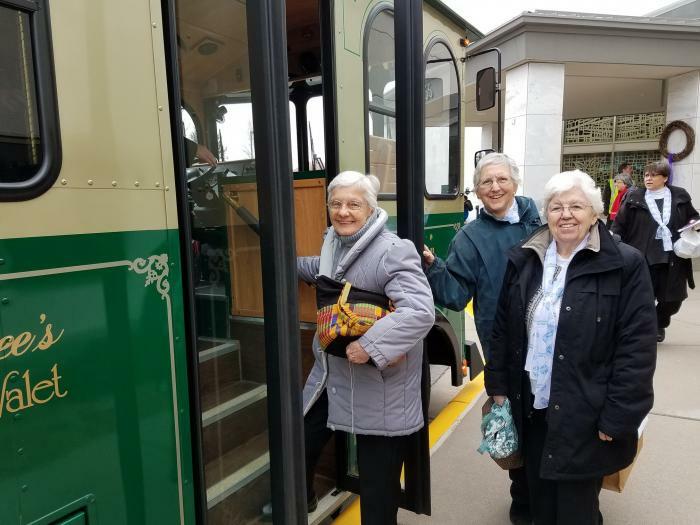 Boarding the bus to go on to the next stop. 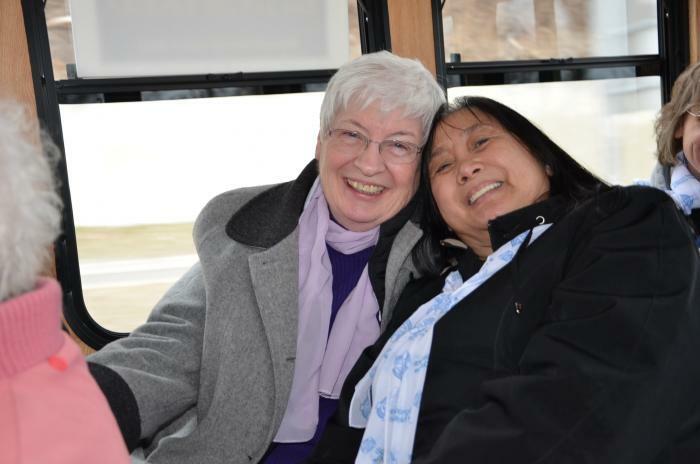 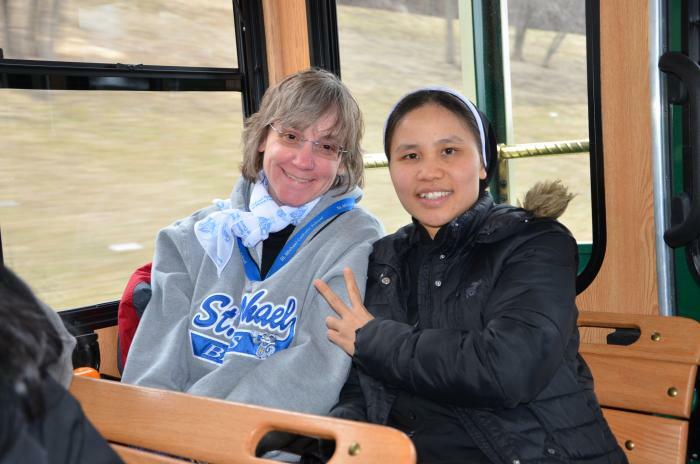 Sisters Esther Wagner and Rebecca Tayag. 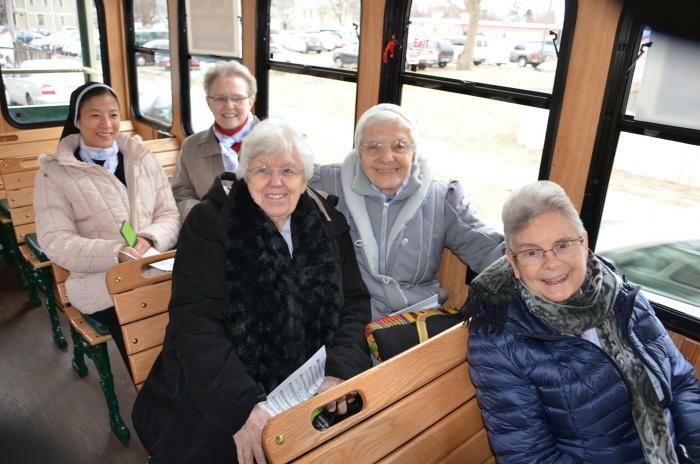 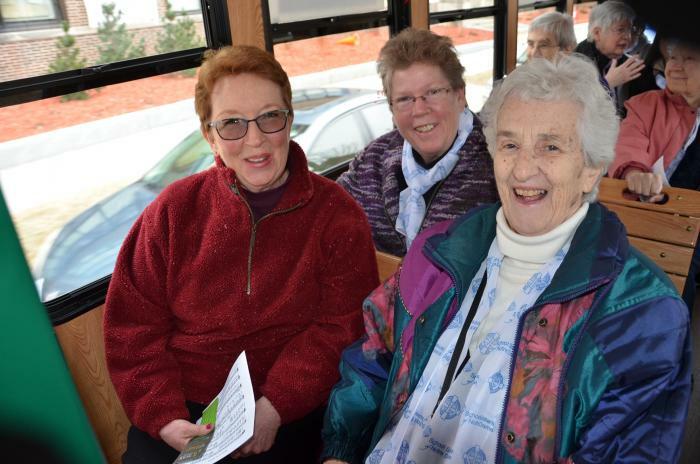 the Holy Cross sisters on the trolley tour. 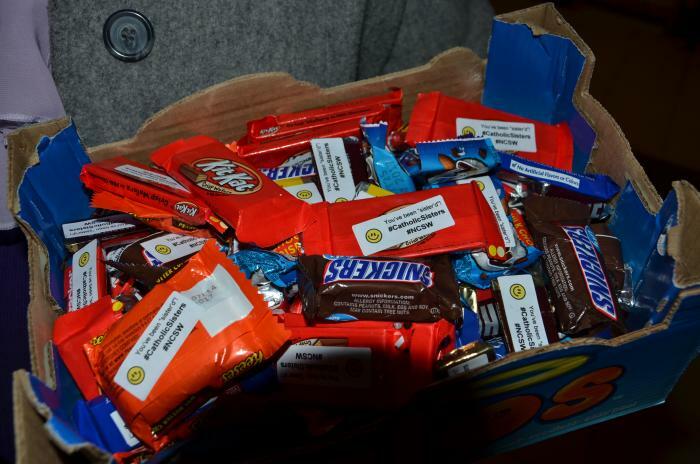 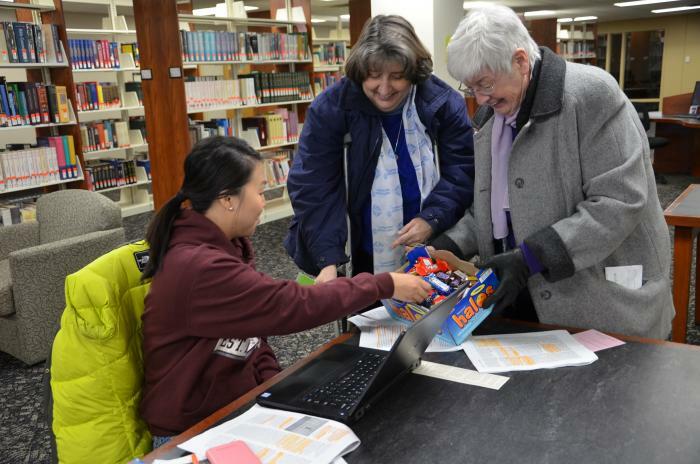 candy to students in the library at St. Catherine's. 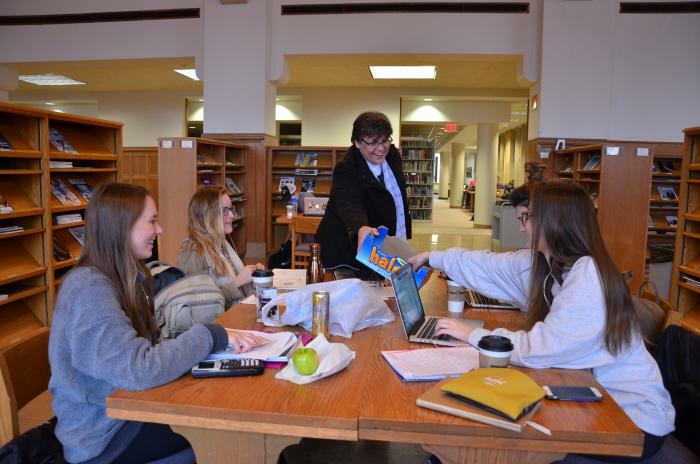 to students in the library at St. Catherine's. 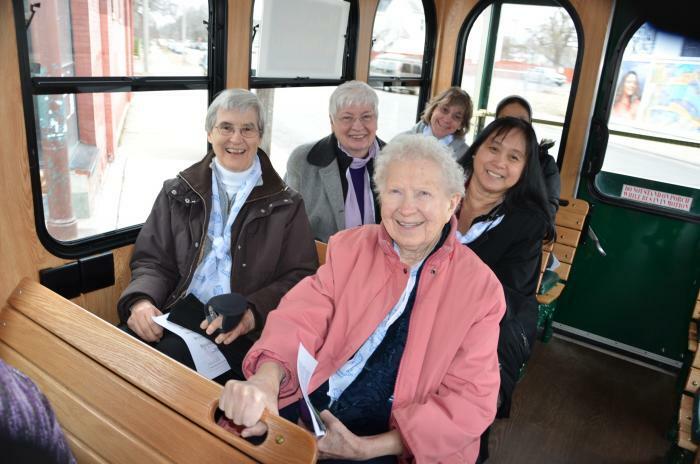 The trolley tour makes a stop at St. Thomas University. 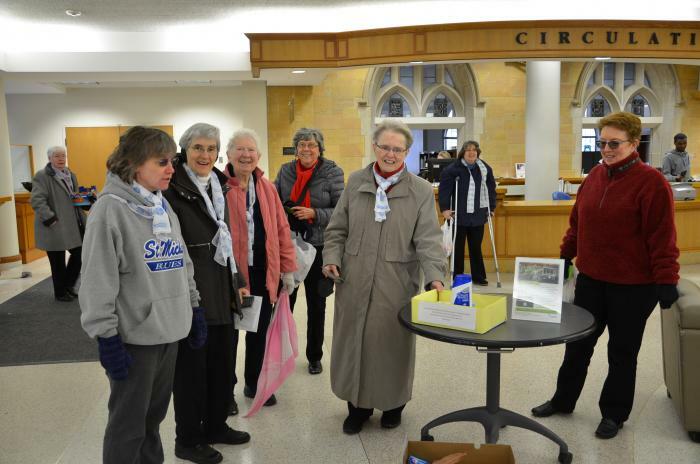 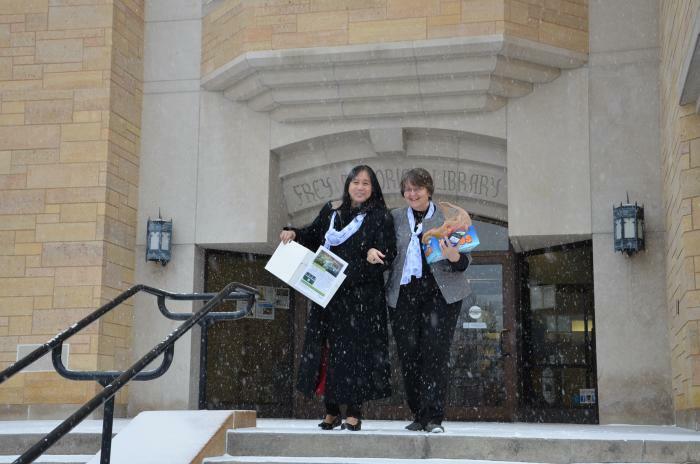 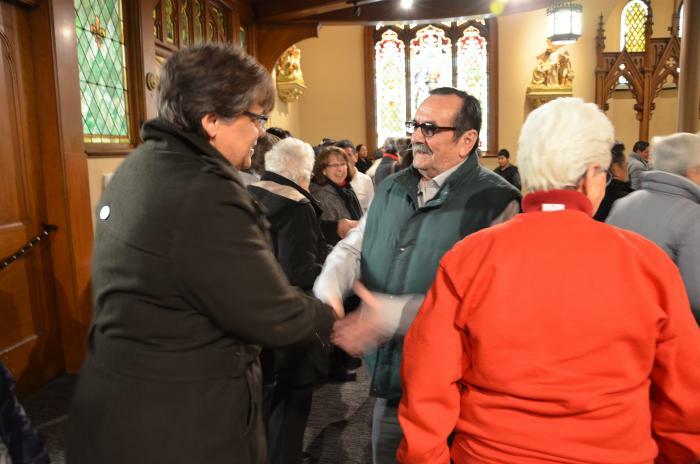 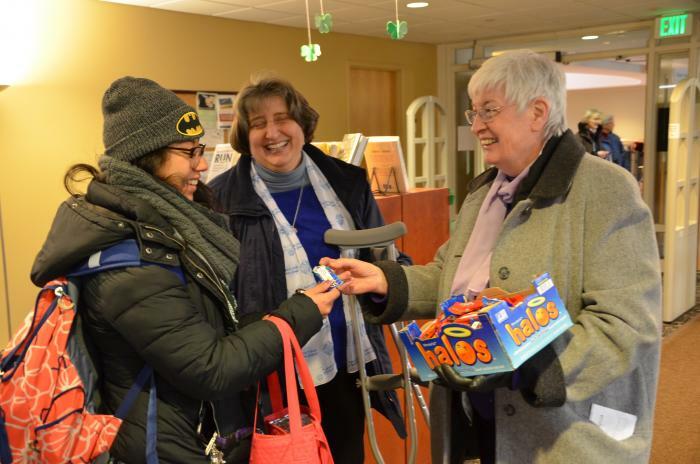 The sisters pick up donations for the Dorothy Day Center. 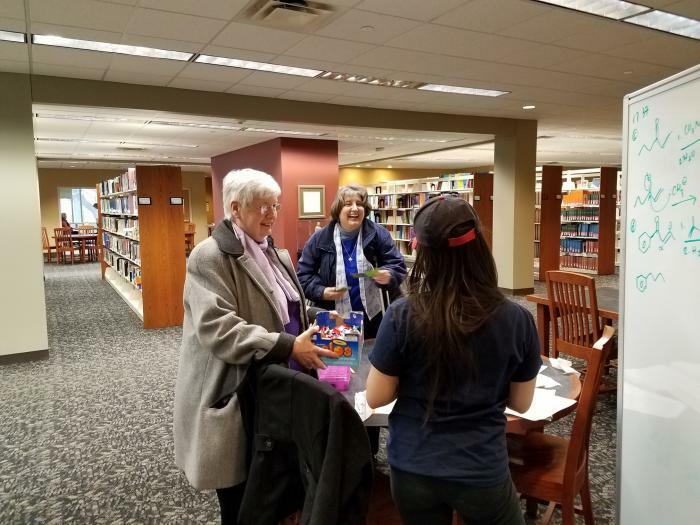 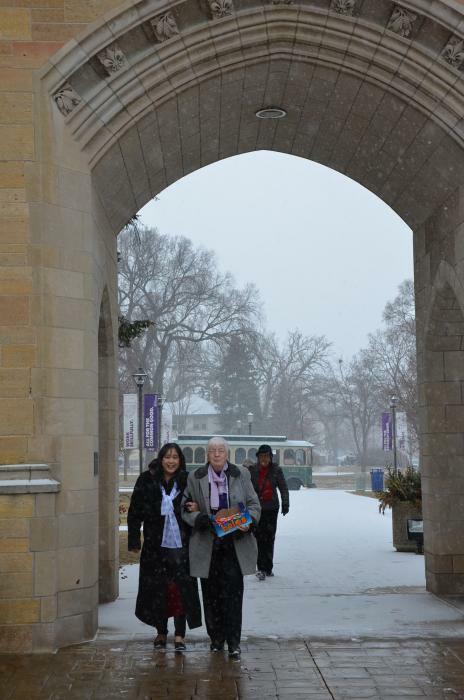 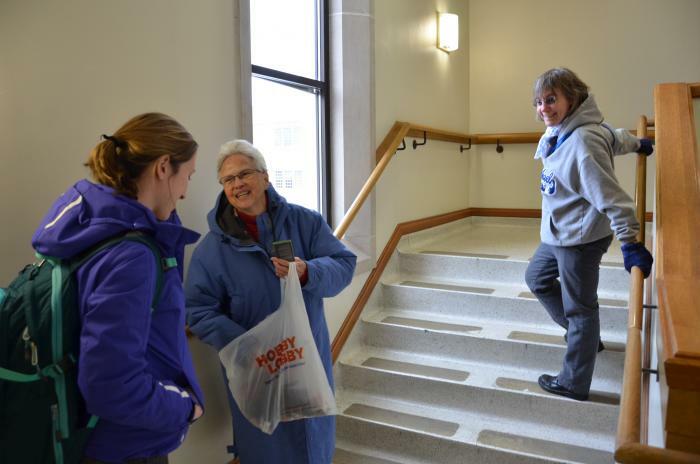 Handing out candy to students in the library of St.
at the Basilica of St. Mary, Minneapolis.